The bar at Sr. Telmo. Hooray, beer! 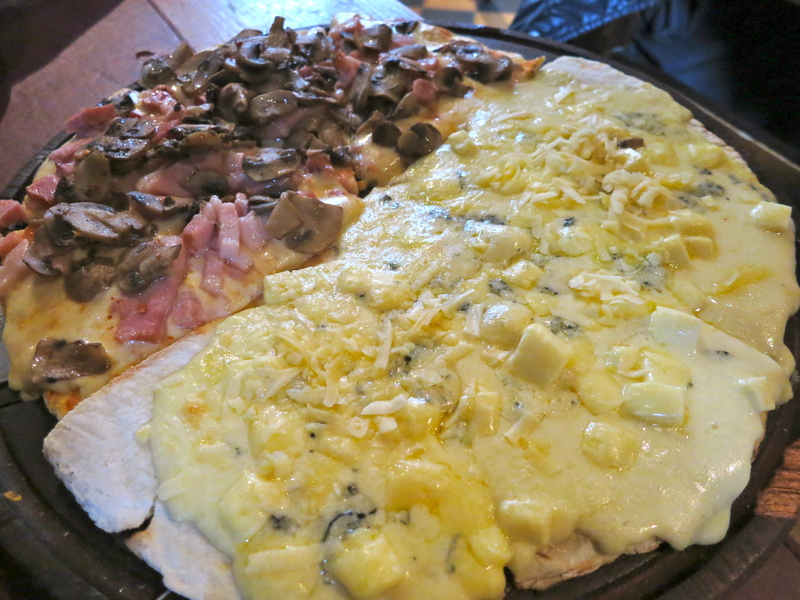 Pizza in Buenos Aires can elicit a variety of responses from foreigners. I personally enjoy it, but have heard some people get downright ANGRY about it. To which I say, tranqui…and go home. 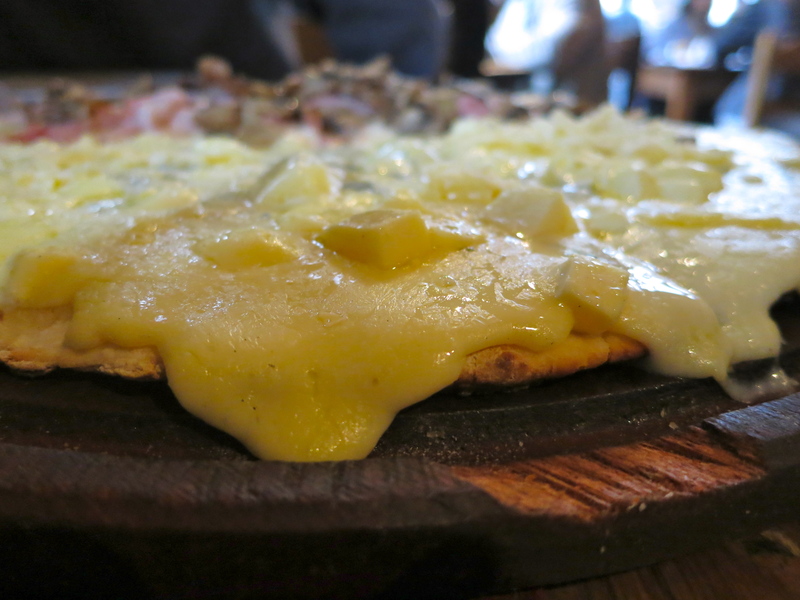 The typical Argentine pizza’s thick, doughy crust, piles of cheese and near absence of sauce is most likely not like the pizza from a visitor’s country of origin. If you’re craving a New York or Chicago-style slice, it’s not going to fill that exact void. But anything that includes piles of cheese is still going to be pretty damn tasty. My favorite pizza in the city, to date, is from Sr. Telmo. With windows that line Defensa and Pasaje San Lorenzo, the ambience is open and inviting. 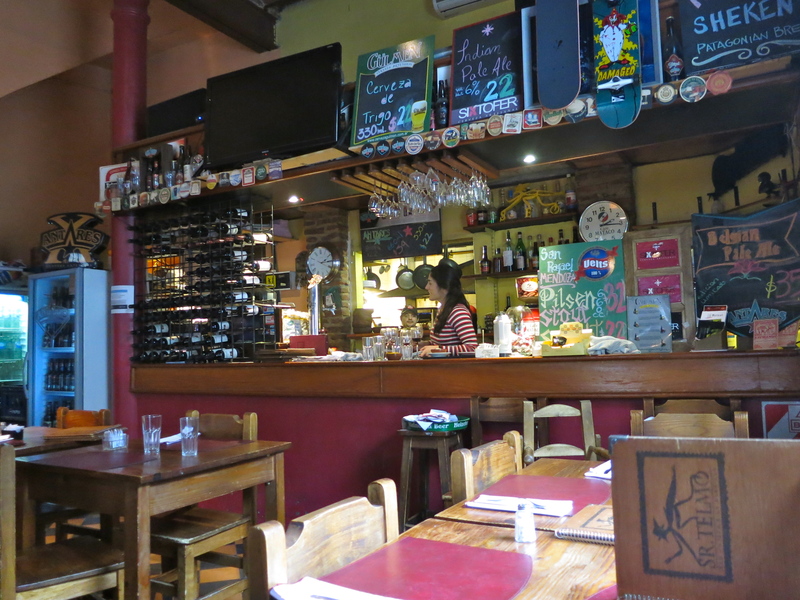 The building boasts your standard San Telmo vibe of exposed brick everywhere the eye can see, and the walls display local works of art for sale. But the focus is on the pizza. Their pizza has a thin crust (by local standards) with an awesome variety of pizza roja (with sauce) or blanca (without) and toppings like arugula, shrimp, jamón crudo, mushrooms and more. Almost makes you not miss pepperoni. To make it even better, you can order two halves so you can try different flavor combinations. Our favorite is a grande, one half the pizza blanca de cinco quesos oozing with mozzarella, provolone, parmesan, roquefort and goat cheeses. 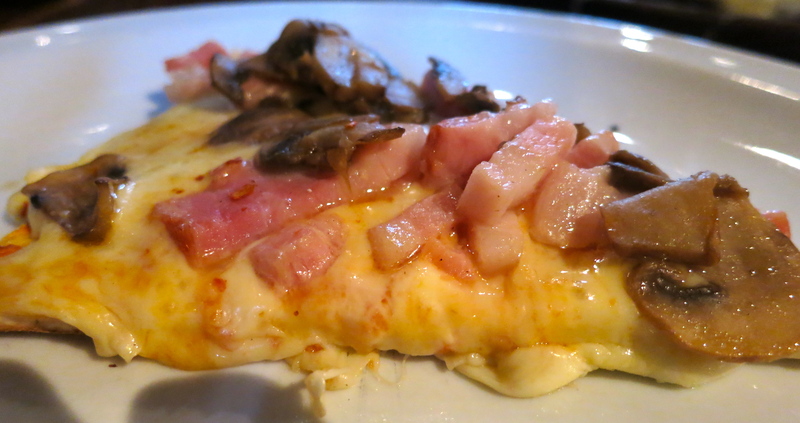 The other half, pizza roja del pasajero with (a bit of) sauce, mozzarella and piled with mushrooms and panceta, the Argentine bacon that’s more like a fatty ham than crispy yanqui-style bacon. 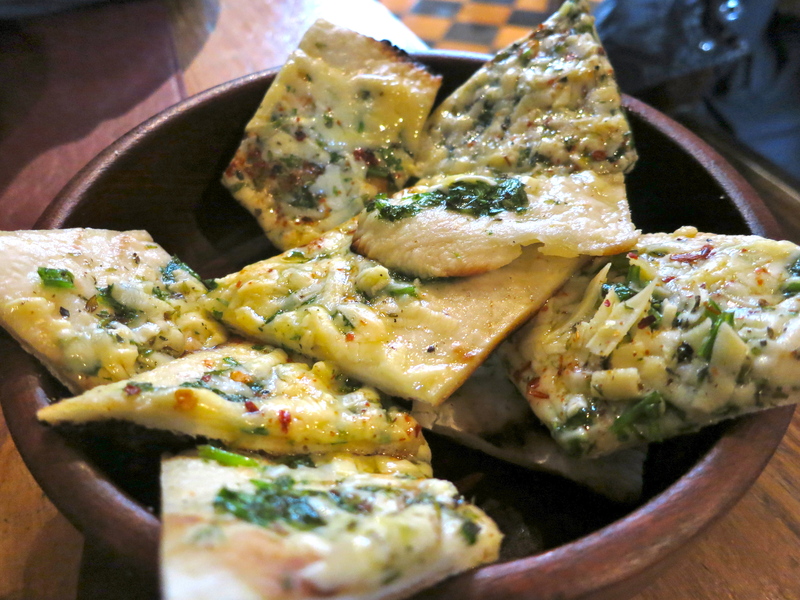 I also love the cheesy garlic bread they give you. Well worth the cubierto charge. I’d come here just for this! And to top it all off (er, wash it all down?) there’s a decent beer selection that rotates (translation: they run out) regularly. 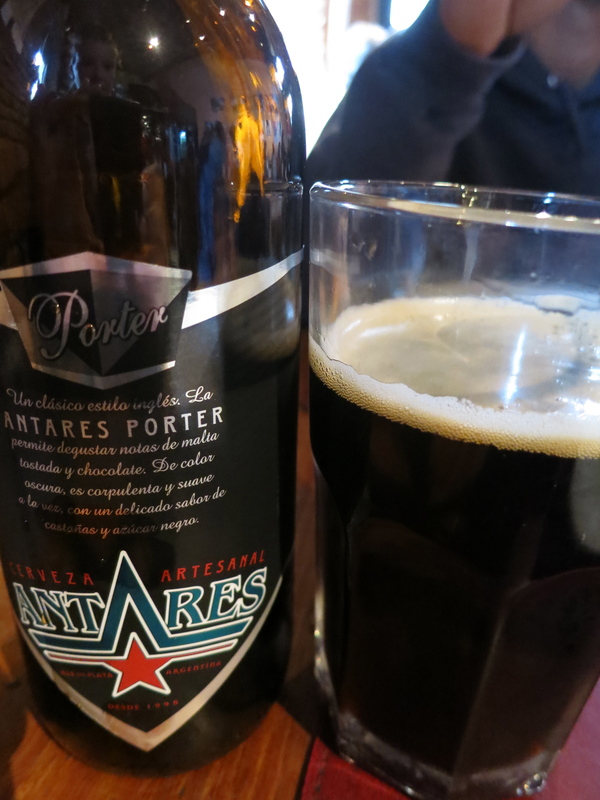 But there’s always something new and interesting to try, and what a welcome treat to trade in the litros of Quilmes and Stella for a cold Estrella Galicia or Antares Porter with your slice. Read the reviews on Guia Oleo.